1. Bring the leeks, potatoes and water to a boil in a saucepan. Salt lightly, cover partially and simmer 20 to 30 minutes, or until the vegetables are tender. Taste and correct for seasoning. 2. If you want to serve the soup au naturel, ladle it into soup bowls and top it with a dollop of sour cream, if you wish. Alternatively, you can puree the soup through a vegetable mill or in a blender or food processor and serve it with the optional cream. 3. 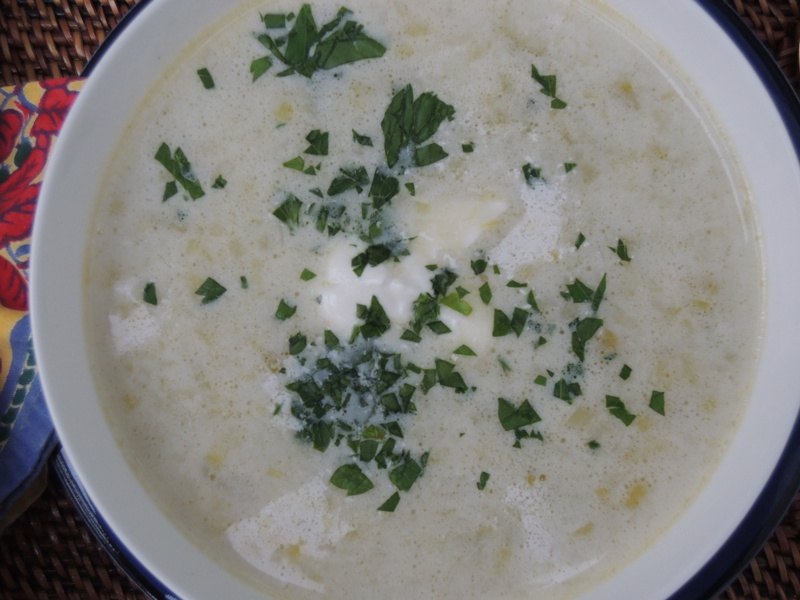 If you want cream of leek and potato soup, use a cup less liquid when simmering the soup. After pureeing, whisk 2/3 cup or more of sour cream, heavy cream or crème fraiche into the soup, simmering it for a moment to blend. 4. The soup also can serve as a base to which you can add a cup or two of other cooked or raw vegetables such as cauliflower, Brussels sprouts, carrots, green beans, turnips, broccoli, squash, pumpkin and so forth and so on. If they are fresh, grate or chop them and simmer a few minutes in the soup before pureeing. If they are cooked, simply puree them with the soup. 5. 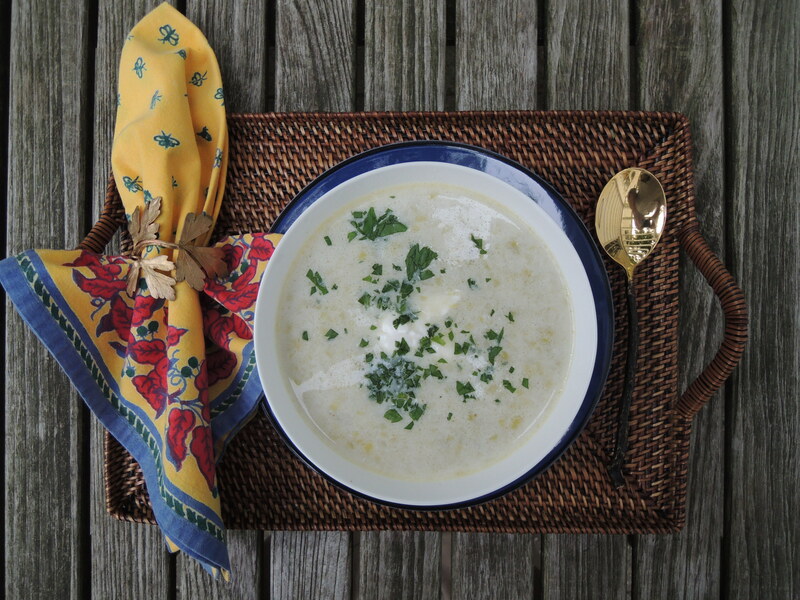 Chilled and pureed, the soup becomes Vichyssoise, as described in the recipe that follows.